That smug feeling of walking home dry under your brolly while others around you get a decent soaking. You do not need to be physic to predict the future, but looking forward should be a crucial factor when thinking about solar panel technologies. I have bestowed the advantages of solar panels since 2004 when the signs that the North Sea oil and Gas are drying out were first beginning to leak out. My passion has never waned, and the enthusiasm has only grown (organically of course). I have seen the PV solar industry go from strength to strength over this time, as I always predicted. Every person who has installed this technology will agree with me when I say “I love solar panels”. It is the same feeling you get when you have paid your council bill in full for the year. You breathe a sigh of relief knowing you do not have to think about it for an exceptionally long time. The same goes for solar panels; only you can breathe a Sye of relief for the next 30 years. The buzz from solar panel installations comes from pride. The satisfaction of being the first on your street, the reward of having small bills once again and the knowledge that, no matter how many times the power supplies “blame it on the wholesale price”, you’re sitting comfortably on your investment and watching the benefits increase year on year. The feed-in tariffs for PV panel technology currently reside at 15.44 pence per kWh, still giving an average of 5-8% return on your investment. The impetus for solar heating systems will be around 4-5% with the Renewable Heat Incentive scheme. While the current financial systems continue to provide savers with a raw deal on their hard earned money, solar panels create adopters a revenue stream better than most investment and savings accounts. The long-term benefits are almost awe-inspiring. When was the last time you bought something that lasted 30-40 years? Apart from the few tools in the shed, I cannot think of anything or any other technology that continues for 30 years as standard. What car were you driving 30 years ago, and where is that twin tub washing machine now? (For those not familiar. Twin tubs were conventional washing machines, in the 1970’s and 80’s). Here, we have a technology that will still be functioning and benefiting you in 2040. Your current car will probably be recycled and turned into a tin of beans for its 2nd or 3rd time by then. If you are not planning on staying in your current home, then solar panels come to the rescue again. As long as you own the panels yourself, your current address will be far more attractive to home buyers, allowing you to change to your new home quicker. For any house buyer, the advantages of a new home with such technology will sell itself. Another string to the bow, of this much loved, but mostly underappreciated technologies. The feed-in tariffs have been a tremendous success. Too successful! 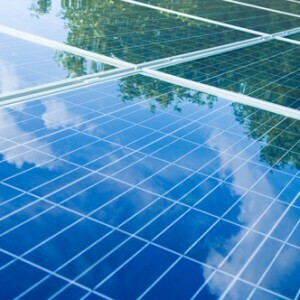 This scheme was only originally designed to help the industry through its fledgeling years, but like many within the United Kingdom’s solar panel industry, we did not expect to see the damage done by mismanagement of rate reductions by the Department of Energy and Climate Change earlier this year. Extreme popularity meant the incentive rate for photovoltaic (PV) panels had to be lowered for newer adopters but did not give the solar companies any warning, thus spurning months of legal wrangling and unhelpful media attention. The current rate of 15.44 pence per kWh. Future rate reductions to newer adapters may be reduced. However, I predict another couple of high energy price rises from either the national network upgrade to the infrastructure (someone has to pay for it) or external global oil supply issues (A threat never going away) may achieve these significant energy price rises. This situation will once again push solar panel technology to the forefront and allow the government a further reason to reduce the tariff rate further, and thus claiming to of achieved its mandate to support this fledgeling industry. The point I am making here is that no matter what the feed-in tariff rate is, a better rate than what your bank pays and the incentives currently available will disappear for newer adopters once the world wakes up to the fact that it needs to reduce dependence on conventional fuels. If you are lucky (or unlucky, depending on how you look at it) to be around for the next 30 years, you will be unfortunate to witness the cost of heating our homes become unaffordable for a large percentage of the population. That is why this website’s called Heat my Home. Everyone should be looking at how they are going to do this in a world with scarce resources. Investing in solar technology today is like buying an umbrella, even when the sun is shining. One day in the not too distant future you will need and be glad to have it, while others desperately rush to get out of the rain. We’re taught to prepare for a rainy day, and this advice should also heed when it comes to heating and powering our homes. The rainy day I refer to is not a traditional Wimbledon downpour, but an energy crunch that will affect everyone of all social classes. The irony of PV solar panels for a rainy day, eh!